Thinking of booking your next holiday? A wealth of destinations can be reached from Leeds Bradford Airport, with 11 airlines flying to the likes of Rome, Barcelona, Reykjavik and New York. Here are all of the airlines you can fly with - and some of their most exciting ports of call. Via Aer Lingus, travellers can board a quick flight to Dublin for a short break, or pick up a transatlantic connection to a destination further afield. Just a short flight will bring you to sandy shores of Guernsey, where adventurous holidaymakers will enjoy exploring the island's beautiful coastline and countless outdoor activities. Ever fancied exploring Bulgaria's Black Sea Coast? Balkan Holidays will fly you to the city of Bourgas where miles of sandy beaches and fascinating historical sites await. 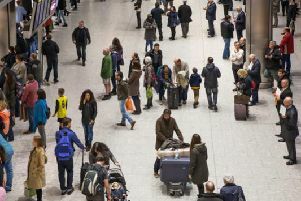 Ideal if you are planning an international trip, British Airways connects Leeds travellers to the capital, where you can pick up worldwide connections out of London Heathrow. Flybe travels to a number of destinations in the UK, including Belfast, Newquay and London, as well as further afield to Dusseldorf. As one of Jet2.com's nine UK bases, Leeds based holidaymakers can jet off to the likes of Spain, Turkey, Iceland and New York with the budget airline in 2019. From the sunny climes of the Balearics and Canary Islands, to charming cities including Vienna, Prague and Copenhagen, travellers can enjoy both a beach or city break with Jet2holidays. Operating flight to the Netherlands’ capital, travellers can explore the vibrant city of Amsterdam or head off further afield from the international airport. Portugal, Poland, Slovakia, Malta and Latvia are just a few of the destinations you can reach with Ryanair, opening up a wealth of opportunities to discover new places. Ever fancied a trip to Enfidha in Tunisia? Thomas Cook are running flights from Leeds Bradford from May until September this year. Ideal if you want to escape to the sun, TUI operates flights to the likes of Verona, Palma de Mallorca and Corfu, throughout the summer and autumn season.